We would also like to share a miracle that again filled us up with that silent and hardly expressible awe and gratitude, which can come from taking delight in the perfection and the completeness of Creation. 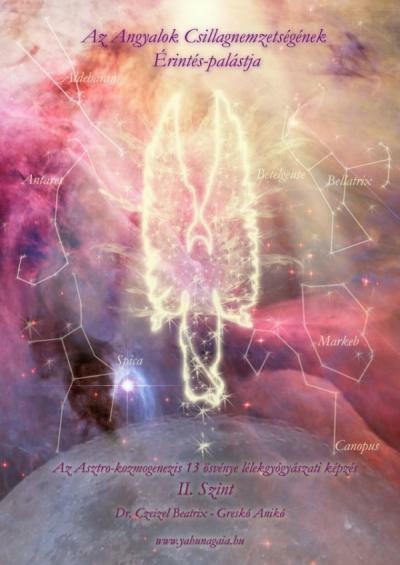 On 3 May 2008, our healing community crossed the gate of yet another mystery, when the second level training of the soul-healing method of the 13 Pathways of Astro-Cosmogenesis began. This will be a very long spiritual learning that will take many years and the essence of which is that we share the knowledge and wonderful mystery of how the extremely powerful healing touches of each of the thirteen Stellar Nations can be transmitted towards the people who turn to us for help. The Celestials introduced an especially expressive and wonderful idea, the secret of “placing the Stellar-Touch Mantle of a certain Stellar Nation onto someone”. In this healing method the well-known cosmic principle of “As above, so below” is manifested incredibly clearly in its complete reality. The light-body of the macrocosmic sphere of the Milky Way Galaxy, born from the stars, is in perfect correspondence with our physical earthly body and our microcosmic inner world, which means that each of the more than 230 stars we examined and interpreted in our book project into a certain extremely precisely defined point of our body, where it transmits an also very accurately specified spiritual quality to us. The “Stellar-Touch Mantle” of a specific stellar nation is the subtle light-body structure of the stellar rays that define the spiritual pathway of the given nation. The reason we felt like sharing this in a few thoughts is that when our group experienced the placing of the Stellar-Touch Mantle of the Stellar Nation of the Unicorns in February 2008, and all that it set in motion and started to heal – the voice of enthusiasm burst out of all of us saying that “Everyone must experience this once!”It was especially important as according to the Divine Plan of the New Time Cycle that connected to us on 29 December 2007, the year 2008 was the year of Creating, and the anchoring of a new creative cycle in which we could learn how to realize and manifest our long-held dreams with the help of the Stellar Nation of the Unicorns, because this was when the right spaces, times and possibilities opened up for their manifestation. But of course this is an evergreen theme to release the blockages of our creative ability.Thus if you feel that you have problems with the actual realization of your dreams here on the earthly physical plane and struggle with financial problems, cannot find yourself and your place and destiny in the world or maybe you are searching for your soul-mate and physical-spiritual complementation with your twin-flame, do not hesitate to turn to us and our healers and ask for the second level healing mystery, in which you may ask for the placing of the Stellar-Touch Mantle of the Stellar Nation of the Unicorns. We would like to share another uplifting piece of news, which is the Miracle that in October 2008, we could pass on to our healing community the Stellar-Touch Mantle of the Stellar Nation of the Angels too , which again brought a barely expressible spiritual catharsis and extremely deep level healing at the first experience already, and it can make similarly deep galactic level karmic releases happen in all the people who would like to request this mystery from us, which has never been introduced on this planet before. 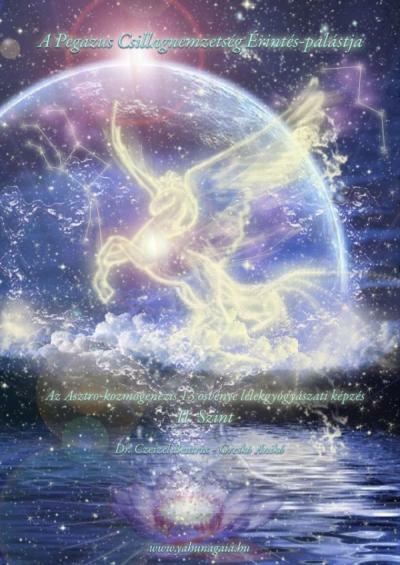 If you feel that you are deeply connected to the celestial and earthly destiny, the beautiful and devoted service of the Angels either on a spiritual or emotional level, you will surely get the greatest possible help and the deepest level healing through this Pathway.If you still remember the magically pure and untouched angelic realm of Spica in your heart, where your soul breathed together with the Creator, and also if you remember the fall – the drama of Algol -, the fallen angels’ tempting and magical attack, or if in your human fate, you are a person similar to a pure-hearted guardian angel in the service of others, and if the codes of your mission as a healer are permeated by the initiations of the Stellar Nation of the Angels, then through this healing you can truly awaken and experience your destiny on the highest possible level. The healing process includes the dissolution of certain very serious and powerful magic bindings and seals, which can also bring great and instant changes in your life, if your problems are rooted in ancient magical influences. 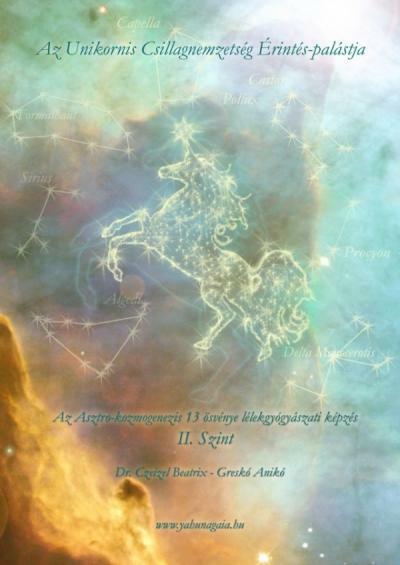 We are very happy to let you know that during the winter of 2009, we received and shared with our students the third wonderful and powerful stellar key of healing the original roots of the human soul, which was the mystery of the Stellar-Touch Mantle of the Stellar Nation of the Pegasus ! The people who turn to us can go through such a miraculous inner pathway where all their memories, deep pain and sense of homelessness can be deeply healed that come from the experience of losing their original Andromedan stellar homes. This is the destiny pathway of the cosmic messengers, Divine heralds, galactic and earthly connecting souls, for whom it is very important to return to their Fate now, in the age of the Ascension, so that by their presence, their work, with or without their words, they can deliver the messages that the Creator had once entrusted upon them and wrapped into their soul. 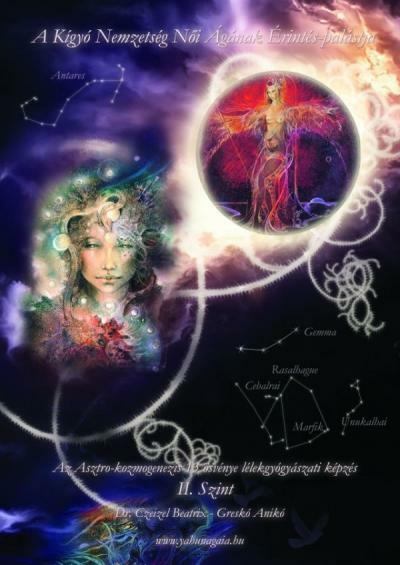 We recommend this healing mystery to all the people who have recognized themselves deeply in the Andromedan destiny described in our book titled At the Gate of Cosmic Transfiguration II, or in the spiritual qualities of the Stellar Nation of the Pegasus. It can also be great help in the communication problems and in dealing with different joint problems. With the deep joy of our heart, we would like to share another inestimable treasure and heartwarming miracle that was gifted to us by the heavenly and earthly wisdom of the Goddess in June 2009.The Stellar-Touch Mantle of the Female Line of the Stellar Nation of the Serpents was woven from the stellar rays in the heavenly embrace of the Heavenly Queen and by the curing love radiating from Her Motherly Goddess heart. It has brought the hope of an incredibly deep healing on the level of the different injuries of the feminine life.This implies that we mainly recommend this Stellar-Touch Mantle for women, although interestingly a number of men have requested it already with the purpose and hope of being healed on this pathway through the touch of the Goddess.Through the mystery of the stellar-mantle of the Goddess, all those problems of the female soul and body can be healed, which occur as the painful consequences of the “Electra-fate”. (The detailed description of this can be found in our first book titled At the Gate of Cosmic Transfiguration. 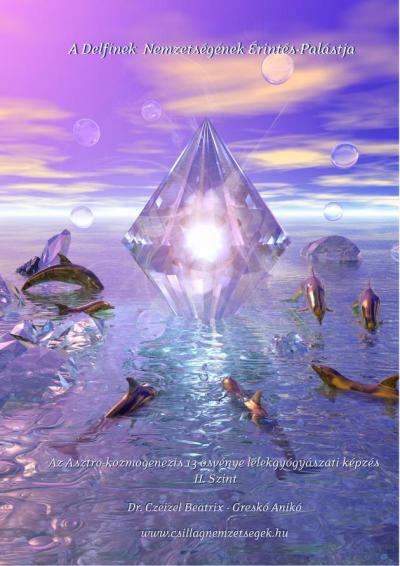 )So this inner journey can be the remedy for the stellar daughters of the Pleiadian Electra, in their battle with their body and sexuality and in the treatment of their pains related to their relationship failures. 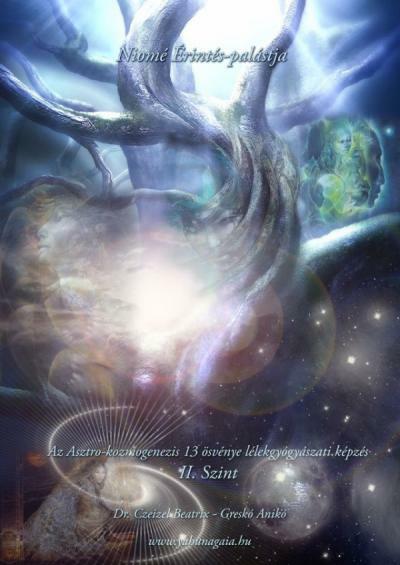 According to the Divine Plan of the New Time Cycle, the final dissolution and redemption of this ancient karmic cycle of pain could happen in the year 2014.Furthermore, if you have already read our book titled “Stellar Nations – Soul Families”, you will understand what the “Lesath problem” means, a deep dissolution and healing of which can also take place within this therapy with the power of the stars.In addition to these, a deep energetic release and the dissolution of certain former magic binding spells can happen on the relationship level, and also in the difficulties related to child-bearing.And then finally a wonderful ecstatic tantric initiating pathway is revealed to all those who can receive the beautiful mystery of the Goddess’s secret, into their body, heart and their soul.So we happily bequeath this possibility to the world and open it up through the members of our healing community, to all the female souls who resonate to this and want to be healed.We wish and create it with all our heart that numerous miraculous recoveries should be revealed in the life of many people by the touches of the stellar mantle of the Goddess!And we would like to thank all those, who have responded to us with deep gratitude after having experienced this wonderful healing mystery of the Goddess and let us know what an incredible miracle they had received and how deeply they had been cured from the thousand-year-old pains since touching the Stellar-Touch Mantle.It is an inexpressible happiness for us too! Our soul is happy with you and we share the miracle together. May the gentle embrace and heavenly wisdom of the Goddess remain with you! 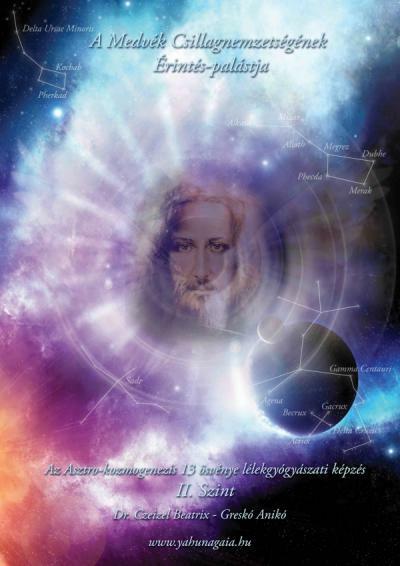 In December 2009, the Stellar-Touch Mantle of the Stellar Nation of the Bears began its pathway of healing too, which can provide an inexpressibly wonderful and sublime uplifting experience to all the people who can feel their former commitment to the pastor and preacher pathway of the Community of Christ in their heart. To those who have recognized themselves as the messengers of the Religion of Love, in the representation of the Heavenly Temple of Christ and the Seven Wisdoms of the Heavenly Wagon. This Light Mantle was born and it speaks mainly for them, so that after so many galactic and earthly millennia spent in their sacrificial service, they can finally empty their hearts from all the pain, the disappointments, the moments of losing their faith and all those memories when they “fell onto their knees with the cross”. The ray of Mercy and Redemption will touch their soul and their many times wounded heart in a way that the seven rays of the Christ Consciousness can come to life in them again, so that they may draw new strength from those for the mission that determines their fate. On this Pathway, which consists of two steps and therapy sessions, the heart of the person just seems to burn in a continuous revelation, in such an almost palpable Heavenly presence, which one can seldom if ever experience! During the healing, the seals of certain vows of poverty and chastity are dissolved, which have created serious blocks in many points during the person’s life until now. In addition to all these, one of the essential pillars of this healing pathway is that all the former messengers of Christ who had once stepped out of their fate and lost their roots can now finally return to where they have always belonged, through the gentle heart-catharsis of an infinitely touching and majestic moment, in a newly experienced embrace of Christ! …The message we received and which we experienced during the training of the healing group, too, was that this was the Stellar-Touch Mantle that would heal the physical and spiritual rays of all the other nations, too, by the revelation of Divine Mercy, so all the previous Light Mantles would be elevated onto a new, higher level of consciousness. This way even those people who do not feel their connection to the Community of Christ will be healed even more deeply through this healing pathway, on the level of the previously experienced Stellar-Touch Mantles too.With all our heart we wish you and we create it again that this may bring miraculous healings in the life of all the people who wish to put this star-lighted mantle onto themselves! We deeply hope that with this, we will provide true, newly found happiness to you! From the middle of July 2010, Niomé’s exceptionally powerful Stellar-Touch Mantle began its healing pathway! Those who have read our book titled Stellar Nations – Soul Families and met and felt the special depths and the enormous power that resides in the fate and the life of Niomé – the heavenly spider queen – can understand that the anchoring and the creation of this Stellar-Touch Mantle has been the most difficult task for us so far, but still, our pathway has been accompanied by such a spiritual presence all the while and Niomé has revealed such a cosmic wisdom by which she is able to help and heal our human existence and physical weaknesses in many ways.Thus in a surprising way, each member of our group felt that working with Niomé in such a direct way was an incredibly exciting and fantastically strengthening and in many ways assuring experience. Her presence is so radiatingly powerful and her healing and purifying effect is almost “imperative”, it is so direct and immediate, which we had rarely experienced before. So even though the themes are always very difficult, this healing way can bring a great purification and liberation to everyone.During these therapeutic sessions, Niomé can provide great help in the discharge of the disease causative agents that lurk in our body and in the dissolution of the different trans-generational miasms, which are miasmatic effects that cause such physical and psychic symptoms that we can carry on encoded in our genome, inherited from the seventh generation back in either the maternal or paternal line. Additionally, the exposure of the different mind-manipulating influences and astral projections belong to Niomé’s control, thus she has the power to eliminate and dissolve these, which can also bring a great liberation and cleansing to the people concerned. Further to these, the inner examination and elimination of the four galactic miasms can happen too, which have been embedded into the collective fate of humanity on the ethereal level. Thus within the Niomé-Mantle therapy we can deal with the problems of the different eating disorders and overweight, the questions of our battle with our body and then the destructive and noxious effects of the sexual charges and repressions. Then we can deal with the third galactic miasm, the charges of anger and rage, and we can work on the discharge and dissolution of the fourth extremely powerful and manipulative galactic miasm – the fears, frustrations, anxiety and panic attacks, etc… and after all these, a special reconciliation of the Nation of the Cosmic Humans and the Arthropods can happen for the first time in history, as a finishing accord to which Niomé may present us with the undistorted, clear mirror and perfect truth of our Life Reviews.Again we can say that we hope and create it from the bottom of our heart that this Pathway may bring lots of deep and final physical-spiritual healing to all the people who would like to ask for Niomé’s help! 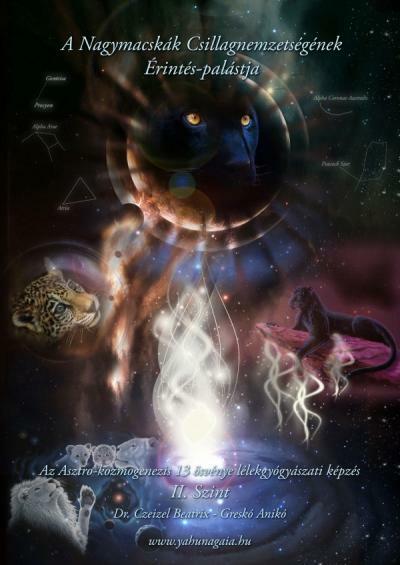 In the end of April 2011, in the resonance of the year of the Dragons and the Great Felines, we anchored the Stellar-Touch Mantle of the Great Felines and began the emission of its healing rays. With this stellar mantle we reawaken the long-forgotten pathway of the sacred initiation of the feline warriors, so that the galactic and earthly keepers of the Heart of Freedom may get back their original mission codes and the experience of being commissioned with the holy task.Through the meditative inner path and the special touch of this mantle, all those souls who feel the pathway of the feline warriors in themselves, which we could meet from the book of the Stellar Nations, and those who have experienced stepping out of their fate once and also the failures we wrote about in our fourth book, can now get an opportunity to go through the liberating, healing and completely unique mystery of the mercy of the Cycles of Redemption, through a specific, personal and very deep release. And then finally the cathartic returning Home can come true, into the heavenly realm of the Goddess, which can dissolve the feeling of outsiderness and solitude at last and the serious inner battles with their body and their fate, and it can ennoble – in fact, it can give new directions to – the undertakings of their present life.It is also interesting that for many people it can be a completely new discovery to find out that they actually have a great feline part of themselves. Because those who have mainly sensed and recognized the quality of the Serpent Priestess in themselves until now can be quite surprised to learn that in the depths, in a more ancient past, their relationship with the Goddess had actually begun on the destiny-pathway of the Great Felines, but the events that happened there had completely shut off these memories. And as the deep longing for being healed and meeting with the Goddess emerged in them, they set out on the pathway of the Serpent Priestess later on, because this was the only possibility for them to be rehabilitated and find their place again in the mysteries of the Goddess.That is exactly why we felt that there would be some people, whose problems relating to their body, sexuality and relationship pain-patterns would be started to be healed by the mantle of the Female Serpent Nation, and it would carry them to a level which could be further deepened and continued in certain different aspect by the Great Feline mantle. And then finally another Female Serpent mantle could bring even greater recognitions, obvious healings and great changeovers. So the two pathways are deeply connected and they complement each other. Thus we wish to all the people concerned to experience the greatest possible miracles on this pathway, too! 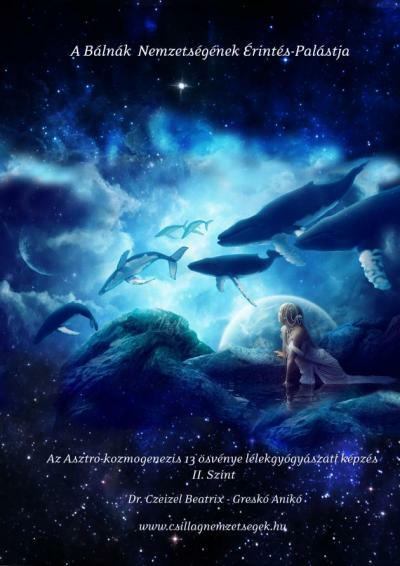 The wonderful and astonishingly uplifting healing Stellar Touch-mantle guided by the destiny path of the Stellar Nation of the Whales was also born in February 2015.Those who have met the creation myth of the Whales from our book titled Stellar Nations – Soul Families can already know about the special connection between the pathway of the Angels and the pure-hearted giants of the oceans.Some of our readers might have been deeply shocked by that story while reading it and they can have deep firsthand experiences of how terrible it can feel for a glorious and light-winged angel being to be locked into the heavy body of a whale. …This healing touch-mantle opens another Mystery of Redemption from the pathway of the angels, through which the painful memories and the guilt, which have burnt deeply into the soul can be healed together with the body so that afterwards the person may return into the channel of his or her original destiny, illuminated by new lights.We truly wish with all our heart that the healing pathways of the Dolphins and Whales will reach many injured hearts and bring such deep liberation and physical-emotional transformations, which can truly change their lives and fill them with happiness that can mostly be felt by the humans who live in their Divine Destiny and breathe together with the Creator. …Cover art by Tamara Rouwendal, many thanks for the breathtaking artwork! We would like to note however that this is an extremely serious and high-level healing process, through which the deeper consciousness there is, the greater result can be achieved, so we definitely recommend reading our book titled Stellar Nations – Soul Families.And we truly wish all of you similar uplifting and cathartic miracles like what the Celestials have gifted us with!We wish you that your Life should become that manifested dream of happiness and completeness, which your soul has painted into the contours of your future, and which it has been painting ever since.